This article originally appeared in the International Review of Social History. 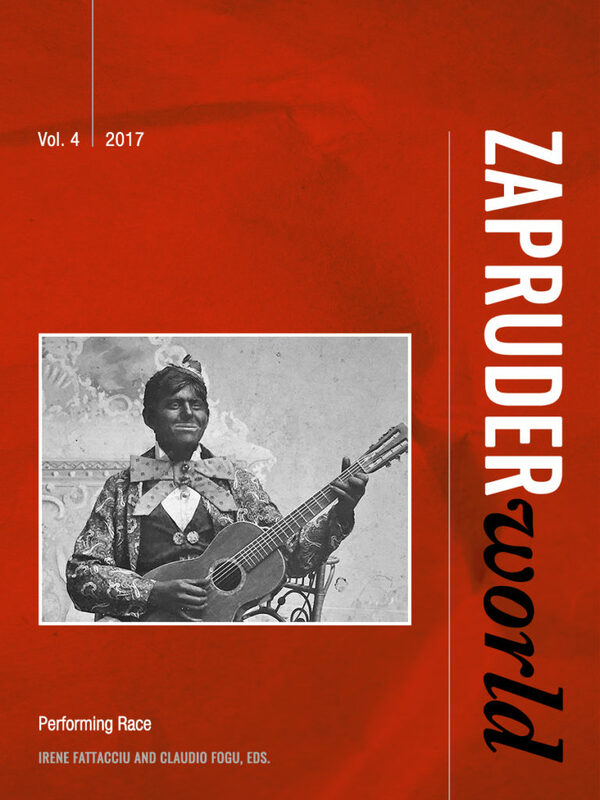 It is republished in Zapruder World with the permission of the author, the Executive Editor of the journal, and the publisher, Cambridge University Press. In fact, the seeming appearances and disappearances of the Italian anarchist movement—and its associated traits of discontinuity and lack of organization—are the fault of the historian, not of the movement, which had more continuities and organizational resources than analyses of national scope can reveal. The movement did not vanish, it just moved from one sphere to another and historians missed it when it moved from the piazza they were looking at. In fact, Italian anarchism was a transnational movement stretching around the Atlantic Ocean and the Mediterranean Sea. Like Linebaugh’s and Rediker’s rebellious proletariat, Italian anarchism was a many-headed hydra, not a phoenix that died and was reborn anew. Accordingly, by extending the analysis of Italian anarchism to the transnational level, more complex pattern of how anarchists organized and provided continuity to their movement are revealed. The movement’s seeming entrances and exits on the Italian stage in fact correspond to shifts of initiative from the Italian territory to the movement’s transnational segment, especially when the hydra was beheaded in Italy. Thus the analysis of transnational scope reveals forms of continuity and organization unavailable to analyses of national scope, and by broadening our perspective on the anarchist movement it compels us to look for more sophisticated interpretations of the movement’s dynamics. One problem of studying the history of anarchism is that continuity can seldom be traced through formal institutions. Anarchist organizations shaped up more often as networks of militants than as formal organizations. In a formal organization, such as political parties, an impersonal structure exists, with roles in which actors are mutually substitutable. Actors may change while the structure persists. Continuity can be most naturally followed through an organization’s unchanging structure. Conversely, a network has no such impersonal structure, though actors may persist over time. I will tackle this problem in two ways: by focusing on the anarchist press, the most universal and visible institution of anarchist movements; and by anchoring the study of the Italian movement to the life and activity of a prominent figure such as Errico Malatesta. I will look at Italian anarchism in the United States and worldwide, combining qualitative methods—concerning individuals, groups and newspapers, such as La Questione Sociale of Paterson—and quantitative methods concerning the anarchist press. On the role of the press in disseminating ideas, Kropotkin remarked in 1899 that socialistic literature had never been rich in books, while its main force lay in pamphlets and newspapers. If one wants to understand how workers accept socialist ideals—he argued—“there remains nothing but to take collections of papers and read them all through… Quite a new world of social relations and methods of thought and action is revealed by this reading, which gives an insight into what cannot be found anywhere else…”10 With respect to Italian anarchism, suffice to mention that its most fundamental and long-standing debate, about organization, includes no original contribution in book form, nor does the copious output of Errico Malatesta and Luigi Galleani, the respective leading figures of the organizationist and anti-organizationist currents. In sum, the various functions taken up by the anarchist press make it a good mirror of the movement. Certainly, different periodicals could have different functions and readerships. Malatesta’s L’Agitazione and L’Associazione are a case in point. The former was printed in Italy and addressed a wider audience than just anarchists or militants. In contrast, Malatesta himself remarked that a periodical published abroad like the latter was ill-suited for mass propaganda, being more useful for the exchange of ideas and information among militants.13 Such a periodical could be produced by a relatively small group, and still be influential without having a broad and committed local readership. Thus, press distribution cannot be mechanically translated into a numerical estimate of the militants’ distribution. Still, a correlation between press distribution and movement’s strength existed, as Enzo Santarelli’s study of anarchism in Italy confirms by correlating the distribution of newspapers in 1890–8 with an estimate of the size of each region’s movement in 1897–8. Indeed, the foremost regional movements, in Marches, Tuscany, Emilia-Romagna, and Sicily, were those with more than one newspaper.14 Moreover, both kinds of periodicals—those with a relatively large local readership, and those addressing remote readers—are relevant for the purpose of studying anarchist transnationalism: the former by pointing to areas of numerically strong presence, and the latter by speaking to the movement’s transnational disposition. In addition to using the press, I give unity and continuity to my analysis by using the life and activity of a key figure, such as Errico Malatesta, as a common thread. In contrast to the absence of formal institutions, a strong persistence of individuals is observed in the Italian anarchist network, providing a handle to study continuity. If we look at the anarchist network in formal terms as a set of nodes, i.e. its militants and groups, and of links between such nodes, i.e. contacts, correspondence, resource exchanges, etc., the best research subject would be the most densely and continuously connected node, whose web of links would come nearest to an image of the entire network. In social networks parlance, this would amount to using an ego-centric network method, which studies a social network starting from a specific, arbitrary node, and following this node’s links. Though my evidence will be anecdotal, without using any formal model, Malatesta is undoubtedly the historical figure that most closely approximates such a theoretical ideal. Malatesta’s prominence in Italian anarchism need not be belaboured. In brief, Malatesta was at the center of most major upheavals in Italy between 1870 and 1930, though living mostly abroad: the internationalist insurrectionary attempts of 1874 and 1877, the First of May agitations of 1891, the Sicily and Lunigiana revolts of 1893–4, the bread riots of 1898, the 1914 Red Week, and the 1919–20 red biennium. Obviously, Malatesta was not a deus-ex-machina that made things happen, but instead he was integral part of a movement. His periodicals’ influence is illustrated by the fact that an English language list of thirty-one all-time anarchist journals of historical significance includes six edited by Malatesta.15 Most importantly, Malatesta well represents the movement’s transnational segment, as even a cursory glance at his life shows: he was in Egypt in 1878 and 1882; in 1885–9 he lived in Argentina and Uruguay; in 1899 he escaped from Italy to Tunisia; in 1899–1900 he was in the United States; and for most of the three decades from the 1890s to the 1910s he lived in London. By covering the entire area of Italian anarchist transnationalism, Malatesta’s life truly epitomizes our topic. Malatesta’s influence on Italian anarchism directly illustrates the importance of the transnational segment, of which he was part, for the movement in the homeland. Most importantly, his relevance in both the movement in the homeland and the transnational segment makes him a key link in the relation between those two halves of the anarchist network: by illustrating the contacts of comrades abroad with Malatesta, one indirectly illustrates their contacts with the movement in Italy. In sum, in using Malatesta as a thread, I remain interested in the anarchist network as a whole. Thus, Malatesta’s representativeness of that network does not reside in his being an average militant, from which generalizations are drawn, but, on the contrary, in his exceptionality, or even uniqueness. His contacts’ scope and continuity and his prominence in the movement make his set of links more representative of the entire network than anyone else’s. Some concept of nationhood must certainly be posited for Italian anarchists, too, if nothing else, because of their mutual identification as Italians. This consisted in their sharing common origins, language, and culture. Like long-distance nationalists, they shared a political project concerning the nation-state of their country of origin. However, their relationship to nationalism, nation-building, and nation-states was the exact reverse of long-distance nationalists. Their ideology was not nationalist, but anti-nationalist, and their project was not to uphold or build the nation-state, but to abolish it. The commitment of Italian anarchists—wherever they were—to political struggle in their territorial homeland expressed a sort of division of labour, as it were, in a inherently cosmopolitan global movement opposed to all borders. Both long-distance nationalism and anarchism challenge the territoriality of the nation-state with their border-crossing, but in opposite ways. Long-distance nationalism calls for transnational nation-states and trans-border citizenry, such that the identity in scope between a people and its nation-state can be reconstituted. In contrast, I argue that the transnationalism and border-crossing of Italian anarchism was vital to its struggle precisely because it contrasted with the territoriality and limited sovereignty of the Italian nation-state. In other words, the mismatch in scope between people and state is problematic for long-distance nationalism, but it was advantageous for anarchism. However, notable exceptions show that this convergence is not the whole story. For example, Louisiana had no anarchist presence, despite a significant Italian migratory influx. Conversely, in Vermont and Florida anarchist presence was stronger than one could predict from the volume of immigration. The anarchist press in these two states was concentrated in Barre and Tampa, respectively, thus confirming the relevance of chain migration from Italian areas of strong anarchist presence. In sum, anarchists were not isolated exiles, being instead integral part of large and steady immigrant communities. Still, migration was a necessary but not sufficient pre-requisite of anarchist transnationalism. Additional mechanisms were at work for anarchist transnationalism that the sheer volume of migration cannot explain. Gori’s successful tour was followed few years later by Errico Malatesta’s. Malatesta arrived in Paterson on 12 August 1899, invited by his Spanish friend Pedro Esteve.26 Few months earlier Giuseppe Ciancabilla had come from Europe and become the periodical’s editor, giving it an anti-organizationist direction. The debate between organizationists like Malatesta, who favoured the creation of anarchist federations, and anti-organizationists, who rejected formal membership, congresses, and party programmes as authoritarian, had been raging for years, and would continue for a long time. Factional divides followed people across the ocean, and it seems reasonable to think that Malatesta was concerned with the direction that groups in the United States might have taken under Ciancabilla’s influence. Comrades in North America played a key role in shaping the Italian anarchist movement in Europe, and in turn La Questione Sociale, their only journal, played a key role among them. Therefore, Ciancabilla’s anti-organizationist approach was likely a serious concern for Malatesta as well as for Pedro Esteve, who also favoured organization and was a direct witness and interested party in the management of La Questione Sociale. After Malatesta’s arrival, the editorship issue was settled relatively quickly. The editing group Diritto all’Esistenza (Right to Exist) called a meeting in which its majority declared for organizationist tactics. Ciancabilla resigned the editorship, and with a small group of “dissidents” announced that he would found a new periodical, L’Aurora. On 9 September the new series of La Questione Sociale started under Malatesta’s editorship. During Malatesta’s eight-month stay in North America, La Questione Sociale and anti-organizationism were not his only concerns. After lecturing extensively to Italian audiences in Paterson, New York and around New Jersey, and undertaking propaganda activity among Spanish-speaking workers, on 23 September 1889 Malatesta set off from New York on a four-month propaganda tour. The itinerary largely coincides with localities that had contributed to L’Agitazione in 1897–8, such as Boston, Pittsburgh, Barre, Vermont, and Spring Valley, Illinois, in addition to major nearby cities such as Philadelphia, Providence, and Chicago. San Francisco was too distant to be included. The tour made a priority those places where established Italian anarchist groups existed, as Malatesta—unlike Gori—focused more on organization than on proselytism. Malatesta’s effort to organize the Italian anarchists of North America provided them with an organ, La Questione Sociale, with a well-defined tactical perspective. Furthermore, it provided them with a programme, published in the first issues of the periodical’s new series, and finally it promoted the development of an anarchist federation. One can clearly see the continuity with the work of Gori, and even more of Merlino, who founded Il Grido degli Oppressi, published the Programme of the Italian Workers’ Association, and promoted the association’s development on a federative basis. In sum, such propaganda tours bear a significant continuity in time, as virtually all foremost Italian anarchist leaders came to the United States at one time or another. Moreover, these were not pioneering trips to a virgin land, for they were taken at times in which Italian anarchism was progressively more established. Finally, in most cases the visiting leaders were not forced by circumstances, but rather they undertook their trips intentionally, for propaganda and organization purposes. In brief, those trips point to a sustained, organic relationship between the leaders of the Italian anarchist movement and one important segment of that movement. The transnational dimension of Italian anarchism has fallen through the cracks of histories of national scope. Just as it has been neglected by historians restricted to an Italian national perspective, so it has been largely lost on American historians who have leveled their own charges of detachment from empirical reality against Italian anarchist leaders from the perspective of their own country. Thus, George Carey remarked that La Questione Sociale “was continually caught between the interests of its local group constituents in improving the conditions of their lives through local union related activities, and leadership imported from abroad—however distinguished—which sought blindly to apply to American conditions formulae forged in the European context.” Such an exclusive focus on North America is misleading, and Carey himself concedes that “study of the American context in the absence of the Italian is insufficient.”30 In fact, the relationship between Italian anarchists in North America and in their homeland was a two-way cooperative relationship. If militants from Europe contributed to propaganda and periodicals in North America, the converse is equally true. In times of repression in Italy, it fell upon the anarchist press abroad to carry on propaganda in Italian. When La Questione Sociale appeared in July 1895, the reaction of the Crispi government was raging in Italy. Exceptional laws passed in July 1894 limited the freedom of press and introduced a systematic use of domicilio coatto against anarchists. At that time, no anarchist periodical existed in Italy, and only two other anarchist periodicals in Italian were published worldwide: La Questione Sociale of Buenos Aires, and L’Avvenire of São Paulo, which was shortly forced to cease publication by the Brazilian government’s repression.31 Therefore the appearance of La Questione Sociale in Paterson, in relatively unhampered conditions, fulfilled a fundamental role in the Italian anarchist movement worldwide. The reciprocity of the relationship between Italian anarchists across the ocean is illustrated by the support from North America to the anarchist press in Italy and elsewhere, through subscriptions and donations. Table 1 illustrates the relative weight of donations from the United States to the four major periodicals edited by Malatesta between 1889 and 1915, as reported in the administrative summaries regularly published by each periodical. All periodicals were weekly or fortnightly. Only direct donations to the periodicals are considered, as opposed to collections on such accounts as propaganda tours or political prisoners. In each case the country of publication and the United States were the two highest-contributing countries, although their relative order varied. The United States ranked highest with La Rivoluzione Sociale, published in London in 1902–03, with contributions at 41.5%, as against 17% from the United Kingdom. Since Italy was the country of highest circulation, contributions from the country of publication were predictably higher for periodicals published in Italy, such as L’Agitazione and Volontà, respectively published in 1889–90 and 1913–15. The former’s contributions from Italy and United States were respectively 68.7% and 17.1%, and the latter’s were 42.4% and 40%, respectively. Source: Data collected from source periodicals by the author. a This is the number of examined issues, which may be lower than the number of published issues, due to gaps in consulted collections. b Percentages are over the total of donations that could be attributed to a country, which may be lower than the total shown. c The periodical moved from France to England at some point. For the sake of simplicity, France has been considered the country of publication, due to the short life of the periodical after the move. Such scattered episodes document that Italian anarchists in North America were both interested and influential in the Italian movement in Europe, as well as organizationally closer than the physical distance might lead one to believe. Their sustained contribution of militants, resources, and ideas must ordinarily be reckoned with in assessing the strength of Italian anarchism, so as to avoid the pitfall of exchanging mobilization campaigns in Italy for cyclical and short-lived episodes of spontaneous combustion. Nostra patria è il mondo intero” (Our homeland is the whole world): thus begins a popular Italian anarchist song attributed to Pietro Gori. That line expresses hope for a future in which the whole world would be a homeland without borders; it also expresses the internationalist disposition of anarchists to solidarity towards workers and oppressed of all countries; but it also expresses a factual truth. Italian anarchism was a transnational movement. In this section I extend my analysis from the case study of the United States to the rest of the world, showing that the same sort of organizational integration and resource exchange also existed for other countries. In fact, for European countries—especially those neighbouring Italy—cooperation across the border was an ordinary mode of operation. The role and mode of operation of Italian anarchist transnationalism in neighbouring countries are best illustrated through the example of a brief but significant segment in the movement’s life. As previously mentioned, a pro-abstention manifesto was issued in November 1890 on the occasion of general elections in Italy, individually signed “on behalf of Anarchist Groups and Federations” by seventy-five militants, with no indication of places.51 By all appearance, it was a manifesto from the Italian anarchist movement to the Italian people. Yet, it originated in Paris. As Luigi Galleani recalled, the decision to issue the manifesto was taken “together with Errico Malatesta, Saverio Merlino, Paolo Schicchi, Augusto Norsa, Peppino Consorti, Galileo Palla and a number of other comrades exiled in France, Switzerland, and England,” including Amilcare Cipriani.52 These militants had all converged on the French capital around the First of May 1890, then scattering in different directions shortly thereafter: Malatesta and others returned to London; Norsa was expelled in May; Merlino, convicted for events related to the First of May, left France in July, as Schicchi also did; and Galleani himself was expelled after a four-month imprisonment, only to be arrested again in Switzerland in October.53 Moreover, as Luigi Fabbri stated, not only “the best-known comrades of the time,” but also the other lesser known or unknown comrades were all militants living abroad.54 Biographical information about the whereabouts in 1890 or in the next few years of twenty-five signatories—in addition to the ones already mentioned—illustrates their geographical spread: seven are found in London; four each in France, Switzerland, Tunisia, and Egypt; and two in the United States. From the circumstance that Italian anarchism was represented by exiles, one might be tempted to infer that the movement in the homeland must have been at low ebb. Yet, at the same time that the manifesto was issued, initiatives were under way for the organization of the Capolago congress, the importance of which Nunzio Pernicone thus emphasizes: “Within the cyclical pattern of advance and retreat that characterized Italian anarchism throughout its history, Capolago represented the highest point the movement had reached since the heyday of the International.”55 How congress arrangements were made is also telling. The first initiative for organizing the congress was taken by the Lugano anarchists, which were soon backed up by another organizing committee in Ravenna, in the Romagna region. The congress site, Capolago, was a little town in Switzerland, just across the Italian border. The congress, held on 4–6 January 1891, was attended by 74 delegates from 11 Italian regions, in addition to 14 representatives of the transnational segment, thus distributed: 8 from Switzerland, 2 from France, and 1 each from England, Malta, Egypt, United States, Argentina, and Brazil. Overall, 208 groups from 140 localities endorsed the congress.56 In brief, these circumstances show how tightly the segments of the anarchist movement in Italy and abroad were ordinarily intertwined, how dynamic their mutual relationships was, to what extent the latter was an integral part of the movement, and how crucial its logistic and organizational contribution was to the success of a major country-wide mobilization on the Italian territory. The transnational support to the anarchist press is quantitatively illustrated in Table 2 by the worldwide contributions to the same sample of four periodicals previously used for the United States: L’Associazione, L’Agitazione, La Rivoluzione Sociale, and Volontà. The peak of transnational contributions was reached by Volontà, with 83% contributions from outside Italy. L’Associazione and La Rivoluzione Sociale, both published abroad, follow on a par, with contributions from outside the country of publication of 57.5% and 57.6%, respectively. Ironically, the least impressive total, 31.3% concerning L’Agitazione, is probably also the most significant, for three reasons. First, the figure concerns a relatively long period, covering fifty-two weekly issues, thus providing more valuable data than shorter-lived periodicals, in terms of both higher statistical reliability and higher significance as a financially viable periodical. Second, the periodical was published in Italy. Hence one can expect contributions from the country of publication to be highest. Finally, unlike Volontà, whose figures were partly due to an exceptional wartime situation, L’Agitazione reflected a relatively ordinary situation. It is true that solidarity to the periodical was partly spurred by governmental repression in 1898, including Malatesta’s arrest. However, this can hardly be considered exceptional. In fact, Malatesta rarely resided in Italy longer than a year without being arrested or escaping arrest by going underground or fleeing the country. In brief, L’Agitazione exhibits a steady contribution from abroad of nearly one third of overall donations in standard conditions, thus providing a baseline from which one can generalize and claim that contributions from abroad were crucial for the viability of any Italian anarchist periodical. For similar reasons, L’Agitazione better illustrates the worldwide spread and balance of contributions in ordinary times. For example, it illustrates the importance of contributions from South America, which equalled those from Europe, and from Africa. Contributions from these three areas together amounted to 14.3%, coming close to the volume of contributions from the United States. In contrast, those three areas are not given justice in the case of Volontà, being comparatively dwarfed by the United States. Italy 15.0 N.A. 4.0 N.A. Note: See Table 1 for remarks on periodicals and data. One can reasonably assume that the map of contributing countries reflects a periodical’s readership. However, the Italian anarchist press was also transnational in another way: periodicals were also locally published in those same areas of Italian migration. Besides their local readership, they also had a wide circulation, thus fulfilling a fundamental propaganda role, especially in times of repression in Italy, as we noted for La Questione Sociale of Paterson. Table 3 provides a statistical survey of Italian anarchist periodicals and single issues published worldwide between 1889 and 1913. Nearly 40% of all periodicals were published outside of Italy, in those same countries of Italian immigration and anarchist concentration. South America—represented by Argentina, Brazil, and Uruguay—is particularly prominent, with a share of 14% of all periodicals, remarkably higher than the 9.5% share of North America. The discrepancy between the rates of periodicals and single issues published abroad is worth noting: less than 25% single issues were published abroad, in contrast to the already mentioned percentage of nearly 40% for periodicals; or, to put things in a different but equivalent perspective, 59% of anarchist publications in Italy were single issues, as against only 41% abroad. How to explain this discrepancy? Why were Italian anarchists more prone to publish single issues in Italy than abroad? The rate of single issues may in fact be regarded as an indicator of the difficulties that the press encountered in an area. Sometimes publications were intentionally given the form of single issues, when the need to comment on specific questions arose. However, more often than not publishing a single issue was a necessity, or simply the unforeseen outcome of an aborted editorial project. In many cases it was a fall-back solution when resources were not sufficient for a serial publication. In other cases, what we call single issues were simply planned periodicals that ceased publication after the first issue, for lack of funds or police harassment. Relatedly, single issues could be stratagems to circumvent police prohibition: the title of a serial publication was changed at every issue so as to be formally unrelated to the previous issues hit by police prohibition. In sum, rather then representing a discrepancy, the figures about periodicals and single issues complement each other in showing that publishing anarchist press was easier abroad than in Italy: periodicals had a less troubled life abroad, and therefore they had a longer life span. Conversely, less single issues, or less aborted periodicals, were published abroad. Source: Data from Bettini, Bibliografia dell’anarchismo. The circulation of anarchist ideas was not limited to the press. Anarchist literature, especially pamphlets, was another crucial component, though constructing a systematic analysis is more problematic in this case. However, we can catch a brief glimpse, using Malatesta’s pamphlets as a representative sample, given that they were steadily popular throughout the entire period under consideration, in all areas of anarchist presence, and among anarchists of all tendencies. The most popular was undoubtedly Fra Contadini (Between Peasants), which was reprinted so often and for so long as to constitute a statistically significant sample, even limiting ourselves to editions in Italian. Between 1884 and 1913, 25 editions were published, including both new editions and simple reprints, but excluding serializations in periodicals. The editions printed in Italy represent a minority, amounting to 12. The United States follow with 8 editions; then the rest of Europe with 3, and South America with 2.58 Places of publication tended to be repetitive: 3 Italian editions appeared in Turin, and 3 more in Messina; 2 editions came out of London; and 6 of the 8 North American editions were published in Paterson. Such places of publication correspond to those of major anarchist periodicals, such as L’Avvenire Sociale in Messina, and La Questione Sociale, then renamed L’Era Nuova, in Paterson. More generally, pamphlets almost invariably came out of the printing presses of periodicals, further confirming both the broader propaganda tasks associated with newspapers, and the importance of places like Paterson, Buenos Aires, São Paulo, Tunis, London, Paris, etc. for a wider range of anarchist activities than just publishing periodicals. Printing presses lasted longer than periodicals, and thus the production of pamphlets, which were more durable and exchangeable propaganda vehicles than some local and ephemeral periodicals, is an even stronger indicator of the continuity of transnational propaganda provided by those centers. Nor was the transnational mobility of editors simply due to outbound migration from Italy. If we define a transition as the event of an editor moving between periodicals in different countries and languages, possibly with an intervening lapse of time, then 18 relevant editors effected 37 transitions overall. Of these, only 14, or 38%, were from Italy to a foreign country; 8, or 22%, were from a foreign country back to Italy; and 15, or 40%, were from a foreign country to another foreign country. Malatesta himself effected all three kinds of transition. He edited La Questione Sociale in Argentina in 1885, L’Associazione in 1889 in France, L’Agitazione in Italy in 1897–8, then he moved again from Italy to a foreign country, where he edited further periodicals. The claim that Italian anarchist publications underwent less governmental harassment outside of Italy raises a fundamental question: why was anarchist propaganda easier abroad than at home? The answer may contribute to explain why Italian anarchism was so markedly transnational. The Catalan historian Joan Casanovas has argued that Spanish anarchists enjoyed greater freedom of organization and expression in the United States than in Spain, partly because of the difficulty of the United States administration to censor the press and infiltrate groups that used foreign languages.60 The argument could clearly be extended to other countries. On this note, in 1905 an Italian police agent in London reported a telling episode. At the time a strong, anarchist-oriented, Jewish labour movement existed in London. The Yiddish anarchist paper Der Arbayter Fraynd (Workers’ Friend) had recently reached sales of 6,000 copies. The circumstance worried the London chief of police, who sent three hundred policemen to attend Yiddish classes, so as to monitor speeches and street conversations among Russian and Polish Yiddish-speaking refugees.61 Clearly, such a language barrier probably contributed to hamper police surveillance of Italian anarchists as well. Furthermore, it is often assumed that countries of liberal traditions, such as Great Britain and Switzerland, functioned as “safe havens” for anarchists. Data about the number of expulsions from Switzerland between 1879 and 1902 cast doubts on this assumption, though. Overall, 241 individuals were expelled in that period, 141 of which were Italians. The peak was in 1898, the year of the already mentioned Fatti di Maggio, when repression in Italy determined a wave of exiles, which in turn spurred the Swiss government’s reaction: 87 expulsions occurred, of which 76 concerned Italians. Most people expelled in those 23 years were anarchists: Malatesta was expelled in 1879; the only expulsion of 1881 was that of Kropotkin; other notable cases were Galleani in 1890, Schicchi in 1891, Gori in 1895, and Ciancabilla in 1898.62 In brief, Switzerland was by no means the “safe haven” that it was purported to be for Italian anarchists. Nor was the Swiss republican government unconcerned with anarchist activities targeting the Italian monarchy: Malatesta’s expulsion of 1879 was determined by a manifesto against the king of Italy after Passanante’s attempt; and in 1900 arrests were made in Switzerland, in connection with the publication of Malatesta’s pamphlet Against the Monarchy. Still, anarchists in Switzerland were comparatively safer from the clutches of the Italian government. While Malatesta was not only expelled from Switzerland, but also imprisoned for violating the order of expulsion in 1891, on the same occasion the Swiss government rejected the Italian government’s request of extradition. Similarly, in London the Metropolitan Police kept a tight watch on Italian anarchists, but it was often reluctant to act upon information provided by the Italian embassy, when the information was about crimes or plans concerning Italy. The reference to a slow but continuous expansion is crucial, coming in the aftermath of the 1898 repression in Italy, which abruptly ended Malatesta’s effort to undertake precisely that kind of expansion in the homeland. Italian anarchism was characterized by high levels of transnational mobility across the Atlantic Ocean and Mediterranean Sea, in terms of militants, resources, and ideas. The mobility and transnationalism of anarchist militants had its own dynamics and was not a simple function of the mobility and transnationalism of the Italian population at large. The volume of transnational contributions to the anarchist press indicates that Italian anarchists were transnational in a significantly higher degree than Italians in general. The mobility of anarchist editors also indicates that the pattern of anarchist mobility was distinct from that of migration in general, involving a significant component of mobility between foreign countries. However, anarchist transnationalism was indeed rooted in the areas of Italian immigration, as illustrated by the distribution of the areas of highest anarchist editorial activity and contribution to the press. The steady presence of Italian anarchists in such areas was relied upon by their comrades in the homeland and elsewhere in the world. The transnational segment of Italian anarchism had a key role in providing financial resources for propaganda in Italy, most notably by supporting the anarchist press. It also had a key role in publishing its own periodicals and pamphlets. The transnationalism of ideas is most clearly illustrated by the fact that nearly 40% of Italian anarchist periodicals were published outside of Italy. Such periodicals were transnational in various ways. Not only they were published abroad, but they were also meant for distribution outside of their country of publication. Their content was itself considerably transnational, thanks to regular correspondencies from comrades in other countries. Furthermore, the offices and editorial staffs of anarchist periodical were centers of broader propaganda and organization activities—such as holding lectures, printing literature, and functioning as correspondence committees— that pertained to a larger circle of people than those involved in the newspapers themselves. In addition to geographical spread and mobility of militants, resources, and ideas, a high level of organizational integration characterized the Italian anarchist movement. Transatlantic integration is well exemplified by the United States, which were intentionally visited by most Italian anarchist leaders, with the purpose of developing, extending, and organizing the anarchist movement and press in that country. The sustained editorship of La Questione Sociale by a steady stream of foremost anarchists over a long period of time constitutes a singular pattern of cooperation and illustrates well the transnationalism of anarchist militants. Conversely, militants from overseas locations, both across the Atlantic Ocean and the Mediterranean Sea, regularly participated in the collective life of the Italian anarchist movement, as institutional events like the Capolago congress of 1891 illustrate. In other words, the anarchist groups of cities like New York, Buenos Aires, São Paulo, Tunis, and Alexandria—as well as of European cities like London, Paris, and Geneva—with their own periodicals and their steady participation to the life of the homeland anarchist movement were by all means an integral part of it. In addition to this pattern of cooperation, transnational anarchism in Europe had an even closer role. A sort of division of labour existed, whereby a significant amount of organization and propaganda workload—organizing and hosting meetings and congresses, printing placards, etc.—could be taken up by groups outside of Italy, especially when such activities were likely to incur in government repression. Conversely, exiles like Malatesta, Merlino, Cipriani, and Palla were always ready to clandestinely re-enter Italy, when circumstances required it. Transnationalism was thus a key feature of the anarchist movement, which significantly contributed to its sustainability. In times of repression, Italian anarchism abroad provided continuity to the movement that had been beheaded in the homeland, and its press abroad took up the task of carrying on propaganda in the Italian language. However, transnationalism was not just an emergency mode of operation in exceptional times. Rather, it was a built-in characteristic of the movement, closely related to the nature of anarchist tactics. Italian anarchists were fully aware of the role of transnationalism and intentionally relied on it, as the arrangements made for the Capolago congress in 1891, the attempt at constituting a federation of Italian anarchists residing abroad in 1893, and Malatesta’s appeals to the “anarchist duty” of transnational solidarity in 1899 clearly witnessed. Anarchist insurrectionary tactics required a gradual work of preparation and organization. The more this work could be carried out quietly and covertly, the more effective it could be. Therefore, in the division of labour between anarchists in Italy and abroad, the latter were more suited to carry out that work of preparation. Conversely, the execution of direct action tactics was as effective as it could be sudden and widespread. In other words, the extent to which insurrectionary episodes such as the First of May 1891 in Rome, and the Lunigiana uprising of January 1894 appeared to be spontaneous popular revolts could be taken as a measure of success for their preparation. This brings us back to the notion of opaqueness from which we started: the appearance of discontinuity, spontaneism, and lack of organization may have partly been the intentional and required counterpart of the reality of effective collective action. In brief, direct action tactics, opaqueness of organization, and transnationalism together help providing an alternative pattern of explanation to the advance-and-retreat or appearance-and-disappearance patterns. Like the rebellious proletarians of Linebaugh’s and Rediker’s book, Italian anarchism was a transnational movement. Unlike those rebels, however, Italian anarchists were not a “motley crew.” They were conscious carriers of a revolutionary project, and members of an integrated and articulate movement that pursued that project. In a very literal sense, Italian anarchism is best analysed as a single movement stretching across the Mediterranean Sea and the Atlantic Ocean. In that way historians can appreciate how transnationalism provided organizational continuity to the movement, and constituted the ground for its sustainability in time. A transnational perspective on Italian anarchism also provides the appropriate context in which the individual lives of militants should be placed. Malatesta’s life is paradigmatic in this respect. From a national perspective his exiles through Europe, North Africa, and the Americas may appear as the wanderings of a knight errant in and out of his country, an alternation of engagements with and disengagements from anarchism in Italy. From a transnational perspective the same moves represent a coherent itinerary within Italian anarchism, either in Italy or outside of Italy, with no interruption and no disengagement. Peter Linebaugh and Marcus Rediker, The Many-Headed Hydra: Sailors, Slaves, Commoners and the Hidden History of the Revolutionary Atlantic (Boston, 2000), p. 7. E.P. Thompson, The Making of the English Working Class, rev. ed. (Harmondsworth, repr. 1974), pp. 529–542. Hobsbawm, Primitive Rebels, pp. 57–58, 92; Jerome R. Mintz, The Anarchists of Casas Viejas (Chicago etc., 1982), p. 271. Temma Kaplan, Anarchists of Andalusia 1868–1903 (Princeton, NJ, 1977), pp. 10–11. Leonardo Bettini, Bibliografia dell’anarchismo, 2 vols. (Florence, 1976); Pier Carlo Masini, Storia degli anarchici italiani. Da Bakunin a Malatesta (Milan, 1969); Pier Carlo Masini, Storia degli anarchici italiani nell’epoca degli attentati (Milan, 1981). Carl Levy, “Italian Anarchism, 1870–1926,” in David Goodway (ed. ), For Anarchism: History, Theory, and Practice (London etc., 1989), pp. 25–78, 43–44. Errico Malatesta to Luigi Bertoni, London, 12 June 1913, Errico Malatesta, Epistolario: Lettere edite e inedite, 1873–1932, ed. Rosaria Bertolucci (Avenza, 1984), p. 92; “Questioni di tattica,” L’Agitazione (Ancona), 3 February 1898. “Agli anarchici degli Stati Uniti,” La Questione Sociale (Paterson) [hereafter LQS], 13 December 1902; Volontà (Ancona), 13 July 1913. P. Kropotkin, Memoirs of a Revolutionist (New York, 1968), p. 275. Errico Malatesta. The Biography of an Anarchist: A Condensed Sketch of Malatesta from the Book Written by Max Nettlau (New York, 1924), pp. 58–59. Pietro Di Paola, “Italian Anarchists in London, 1870–1914,” (Ph.D., Goldsmith College, University of London, 2004), p. 157; Carl Levy, “Malatesta in Exile,” Annali della Fondazione Luigi Einaudi, 15 (1981), pp. 245–280. “Ai nostri corrispondenti,” L’Associazione (Nice), 16 October 1889. Enzo Santarelli, “L’Anarchisme en Italie,” Le Mouvement Social (Paris), no. 83 (1973), pp. 135–166, 139. Paul Nursey-Bray (ed. ), Anarchist Thinkers and Thought: An Annotated Bibliography (Westport, CT, 1992). Benedict Anderson, Imagined Communities: Reflections on the Origins and Spread of Nationalism (London, 1983): pp. 14–16; Linda Basch, Nina Glick Schiller, and Cristina Szanton Blanc, Nations Unbound: Transnational Projects, Postcolonial Predicaments, and Deterritorialized Nation-States (Langhorne, PA, 1994); Nina Glick Schiller and Georges Eugene Fouron, Georges Woke Up Laughing: Long-Distance Nationalism and the Search for Home (Durham etc., 2001), pp. 17–24; Donna R. Gabaccia and Fraser M. Ottanelli (eds. ), Italian Workers of the World: Labor Migration and the Formation of Multiethnic States (Urbana, 2001). Michael Miller Topp, Those without a Country: The Political Culture of Italian American Syndicalists (Minneapolis, MN, 2001). Samuel L. Baily, Immigrants in the Lands of Promise: Italians in Buenos Aires and New York City, 1870–1914 (Ithaca, NY etc., 1999), pp. 27, 54. Eliot A. M. Lord, John J. D. Trenor & Samuel J. Barrows, The Italian in America (New York, 1906), pp. 4–6. Donna Gabaccia, Militants and Migrants: Rural Sicilians Become American Workers (New Brunswick etc., 1988), pp. 123–7; Paul Avrich, Anarchist Portraits (Princeton, NJ, 1988), p. 168; Roberto Gremmo, Gli anarchici che uccisero Umberto I: Gaetano Bresci, il “Biondino” e i tessitori biellesi di Paterson (Biella, 2000), pp. 32–44. Data from Bettini, Bibliografia dell’anarchismo, II, pp. 169–196. Pernicone, Italian Anarchism, pp. 147–157; Leonardo Bettini, “Appunti per una storia dell’anarchismo italiano negli Stati Uniti d’America,” in Bibliografia dell’anarchismo, II, pp. 289–291. “Ai Compagni d’Italia,” L’Anarchico (New York), 1 February 1888. Giampietro Berti, Francesco Saverio Merlino, Dall’anarchismo socialista al socialismo liberale, 1856–1930 (Milan, 1993), pp. 192–201; Emma Goldman, Living My Life, one-volume ed. (Garden City, NY, 1931), pp. 101, 178; on Merlino’s editorship of Solidarity, see e.g. Solidarity (New York), 24 September 1892. On Gori’s lectures in Paterson and New York see: “Conferenza,” LQS, 30 July 1895; “Cose locali,” LQS, 30 September 1895. Reports about Gori’s tour can be found in LQS, 15 October 1895 – 15 July 1896. See also: “L’addio di Pietro Gori: Ai compagni del Nord-America,” LQS, 30 July 1896; G. Pimpino [Luigi Galleani], “Pietro Gori,” Cronaca Sovversiva (Barre), 21 January 1911; A. Guabello, “Un po’ di storia,” L’Era Nuova (Paterson) [hereafter LEN], 17 July 1915. “Errico Malatesta,” LQS, 19 August 1899. A key issue that prompted Malatesta to undertake his trip was the editorship of La Questione Sociale. Cf. Masini, Storia degli anarchici italiani nell’epoca degli attentati, p. 77. N. Cuneo, “Vent’anni,” LEN, 17 July 1915. Pedro Esteve, “Ventesimo Anniversario,” and A. Guabello, “Un po’ di storia,” LEN, 17 July 1915. On Agresti see: Hermia Oliver, The International Anarchist Movement in Late London (London etc., 1983): pp. 122–4. On Cini’s editorship cf. “Agitazione astensionista,” LQS, 15 April 1897. On Ciancabilla, Raveggi, and Caminita see respective entries in: Maurizio Antonioli et al. (eds. ), Dizionario biografico degli anarchici italiani, 2 vols (Pisa, 2003–4). On Galleani see: Ugo Fedeli, Luigi Galleani: quarant’anni di lotte rivoluzionarie: 1891–1931 (Cesena, 1956), pp. 105–114. George Carey, “La Questione Sociale: An Anarchist Newspaper in Paterson, N.J. (1895–1908),” in Lydio Tomasi (ed. ), Italian Americans: New Perspectives in Italian Immigration and Ethnicity (Staten Island, NY, 1985), pp. 289–297, 296–7. Louise A. Tilly, Politics and Class in Milan, 1881–1901 (New York etc., 1992), pp. 261–7. “Avviso importante,” LQS, 11 February 1899; “Amministrazione,” LQS, 16 September and 9 December 1899. Carey, “La Questione Sociale,” pp. 291–2. “Amministrazione,” LQS, 14 October 1899; “Ai compagni ed amici d’Europa,” LQS, 18 November 1899. “Ai nostri compagni residenti in America,” Volontà (Ancona), 5 September 1914. Data collected from source periodical by the author. “I socialisti-anarchici al Popolo Italiano: Non votate!,” in Enzo Santarelli, Il socialismo anarchico in Italia (Milan, 1959), pp. 179–182; “Congresso Socialista Rivoluzionario Italiano,” La Rivendicazione (Forlì), 10 January 1891; 1 Maggio (Naples), 29 March 1891; “Adesioni al manifesto astensionista,” L’Agitatore Socialista-Anarchico (Ancona), single issue in replacement of no. 7 of L’Agitazione, 25 April 1897. “Avviso,” LQS, 28 February 1898. “Cenno biografico,” Archivio Centrale dello Stato, Rome [hereafter, ACS], Ministero dell’Interno, Direzione Generale Pubblica Sicurezza, Casellario Politico Centrale [hereafter, CPC], box 2950. “Piccola Posta,” LQS, 11 February 1899; “Errico Malatesta,” LQS, 27 May 1899. On Malatesta’s arrival in London see: Italian ambassador to minister of interior, London, 26 May 1899, ACS, CPC, box 2949. Italian consul to minister of interior, New York, 28 January 1902, and Police Superintendent Prina to minister of interior, London, 27 July 1902, ACS, CPC, box 2949. “Piccola Posta,” LQS, 30 October 1896; “La condanna di Malatesta,” LEN, 1 June 1912. Letter no. 37 from Department of Justice and Police, Geneva, 17 May 1893, Schweizerisches Bundesarchiv, Bern, Justiz, Bundesanwaltschaft, Polizeidienst, E 21, Ds. 7113; Italian consul to minister of interior, New York, 26 August 1903, ACS, CPC, box 2949. “Una buona notizia,” LEN, 7 October 1911. Police copy of a letter from Firmino Gallo to Luigi Fabbri, Paterson, 9 January 1912, ACS, CPC, box 2256, folder 52603 (Gallo Firmino Felice fu Antonio). “Errico Malatesta,” Cronaca Sovversiva (Barre), 1 July 1911. “Malatesta in Italia,” Cronaca Sovversiva (Barre), 25 November 1911. Hugo Mancuso and Armando Minguzzi, Entre el fuego y la rosa. Pensamiento social italiano en Argentina: Utopías anarquistas y programas socialistas, 1870–1920 (Buenos Aires, 1999). Prefect of the Maritime Alps to the Minister of Interior, Nice, 27 December 1893, Archives Nationales, Paris, F/7 “Police Générale,” box 12507. Minin [Luigi Galleani], “È morto Cipriani,” Cronaca Sovversiva (Lynn), 20 April 1918. See respective entries in Antonioli, Dizionario biografico degli anarchici italiani. Luigi Fabbri, La vida de Malatesta (Barcelona, 1936), p. 128. Pernicone, Italian Anarchism, p. 257. “Congresso Socialista Rivoluzionario Italiano,” La Rivendicazione (Forlì), 10 January 1891. Ministero di Agricoltura, Industria e Commercio. Direzione Generale della Statistica, Annuario Statistico Italiano, 1905–1907. Fascicolo Primo (Rome, 1907), pp. 53, 164–5; Antonioli, Dizionario biografico degli anarchici italiani, p. vi. Data collected by the author from various bibliographies, catalogues, and original pamphlet editions. Data from Bettini, Bibliografia dell’anarchismo. Joan Casanovas i Codina, “Pere Esteve (1865–1925): un anarquista català a cavall de dos mons i de dues generacions,” L’Avenc (Barcelona), no. 162 (1992), pp. 18–22, 20. “Relazione del movimento dei sovversivi in Londra nei mesi marzo ed aprile,” 21 May 1905, ACS, Ministero dell’Interno, Direzione Generale Pubblica Sicurezza, Divisione affari generali e riservati, Archivio generale, Categorie annuali, 1905, Partito anarchico, box 22, folder 377 (Inghilterra). J. Langhard, Die anarchistische Bewegung in der Schweiz: Von ihren Anfängen bis zur Gegenwart und die internationalen Führer (Berlin, 1903; repr., Glashütten im Taunus, 1975), pp. 472–9. “Communications et Correspondance. Groupe La Solidarité,” La Révolte (Paris), 8–14 April 1893; “Movimento Sociale. Inghilterra,” L’Ordine (Turin), 29 April 1893; “Revista del Exterior,” El Productor (Barcelona), 4 May 1893; “Á los anarquistas italianos del extranjero,” El Productor (Barcelona), 1 June 1893; “Questioni di tattica,” Sempre Avanti!… (Leghorn), 4 June 1893. “Il dovere anarchico,” LQS, 9 September 1899. “Federazione Socialista-Anarchica,” LQS, 23 September 1899. Masini, Storia degli anarchici italiani nell’epoca degli attentati, pp. 120–4.